I heard this quote the other day, but I didn’t catch who originally said it. The first point is that it’s contrary to the standard view. The second point is that both perspectives are valid and that there shouldn’t be that much of a difference. 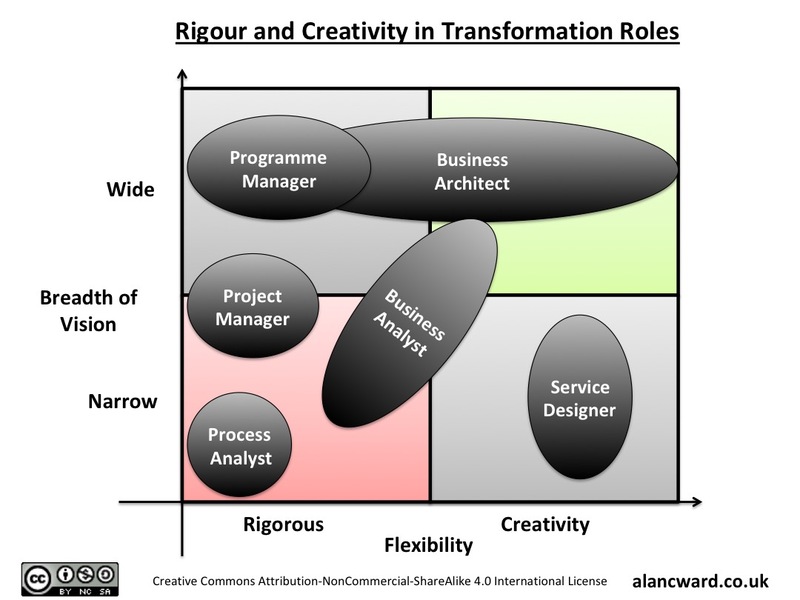 It then made me think of typical transformation programme roles and the relation between creativity and rigour. Most roles have a balance between the two, with that balance changing according to the standard role and, at times, according to the demands on that role. For instance, process analysts should generally follow a set of standards. Business Analysts have to be more creative, but still have methodologies to follow. 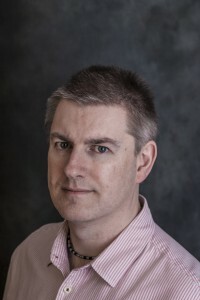 Service Designers have less rigour methods, usually a composition of tools and techniques rather than the standardised methodologies of previous decades. At the more rigorous side, project managers have their methodologies and frameworks to follow. Programme managers see a wider scope and have more creativity in organising the interdependencies. Which then fits nicely with my normal comment that a Business Architect has more in common with a Programme Manager than a Project Manager; there are more skills in common, even though the professional methods involved are different. Which leads me to the Business Architect who has to know when to be standardised and when to be creative. There has to be the flexibility to modify the approach to suit the needs of the client, depending on the stage of transformation.